Our talented team of designers, landscapers and maintenance experts all work hard to provide you with high quality service and gorgeous landscapes. We offer a broad range of options to incorporate into any landscape design, both commercial and residential. In addition to landscape installation and plantings, we also design and build custom outdoor landscape features. Our high-quality, professional team will assess your property free of charge, so we can find the best plan to accomplish your new outdoor oasis! 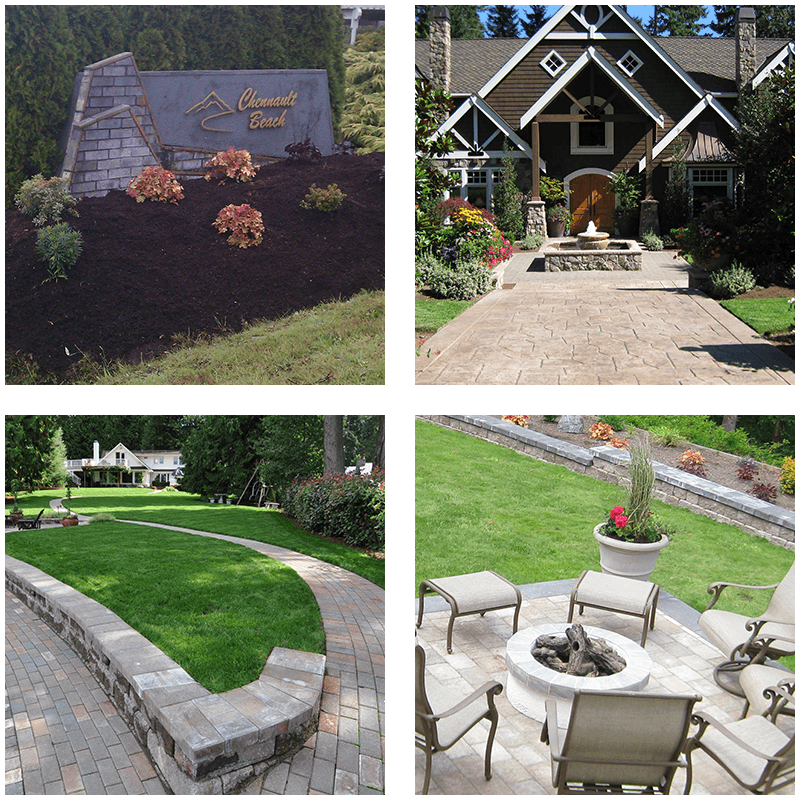 The Grounds Professionals Inc. have been awarded 8 Washington State Landscape Awards in the past few years, and continues to offer the greatest landscaping design for all their customers! Take a unique stroll through your newly designed landscape before construction begins. While tailored especially to you, get the most out of your outdoor living space.